New to the collection these elegant Love knot earrings are a stunning addition to any outfit. 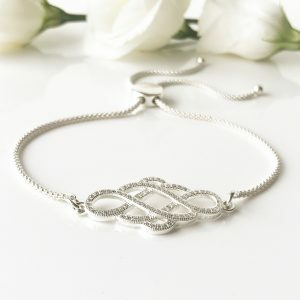 The twisted knot design encompasses hundreds of sparkling cubic zirconia. 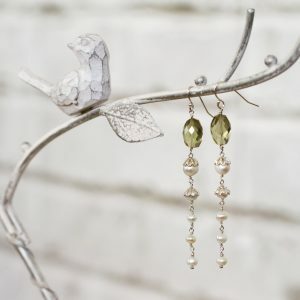 These shine beautifully with the light, and are fantastic for giving added bling. 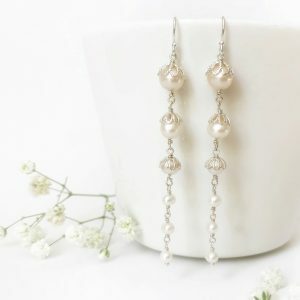 Suspended from the knot is a swarovski crystal and drop shape freshwater pearl. 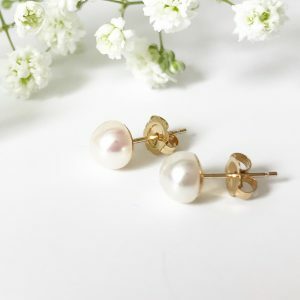 We have lovingly hand finished the earrings using only the finest quality materials, so to make the earrings as luxurious as possible. 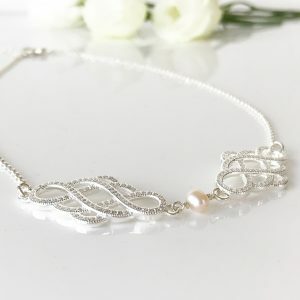 All components are made from sterling silver, therefore are kind to sensitive skin. The earrings are perfect for wedding jewellery, as bridal earrings or bridesmaid earrings. 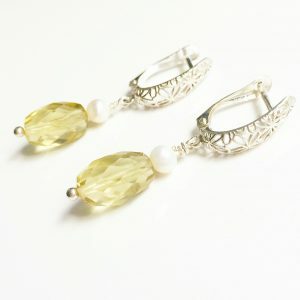 However, they are equally as wearable for a special occasion to add a touch of elegance. Why not try the matching set? Take at look at the necklace and bracelet that complement the earrings. 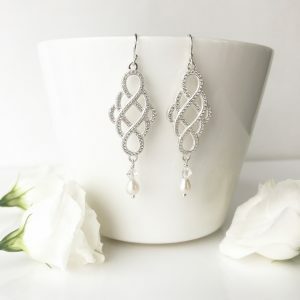 The love knot earrings are a total length of 55mm. 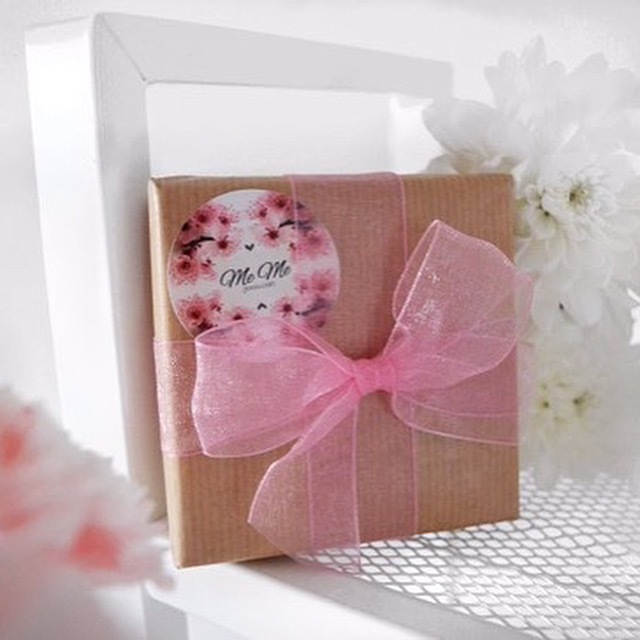 All of our jewellery comes beautifully packaged in an elegant Me Me Jewellery presentation box. In addition, pretty gift wrapping is available on the product page. 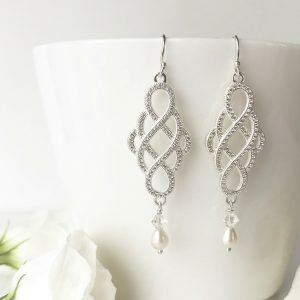 The earrings are available in many other varieties. Therefore, if you do not see what you are looking for please just ask.